This map represents deaths by state with a color gradient where darker reds and oranges signify states where more people have died. 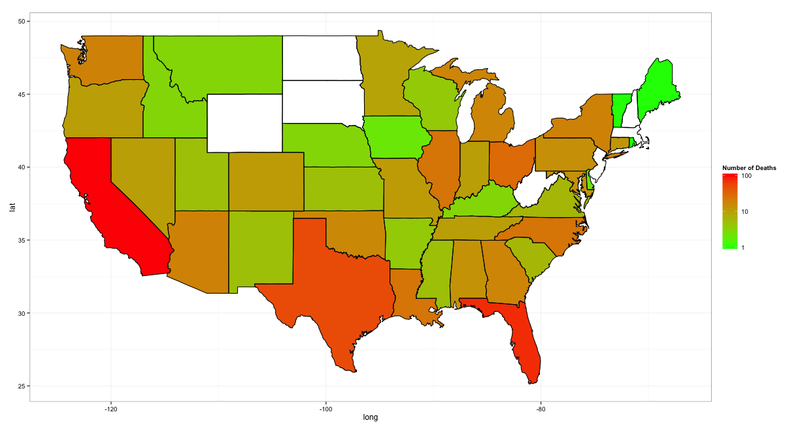 States in white are states where we did not find any taser-related deaths. 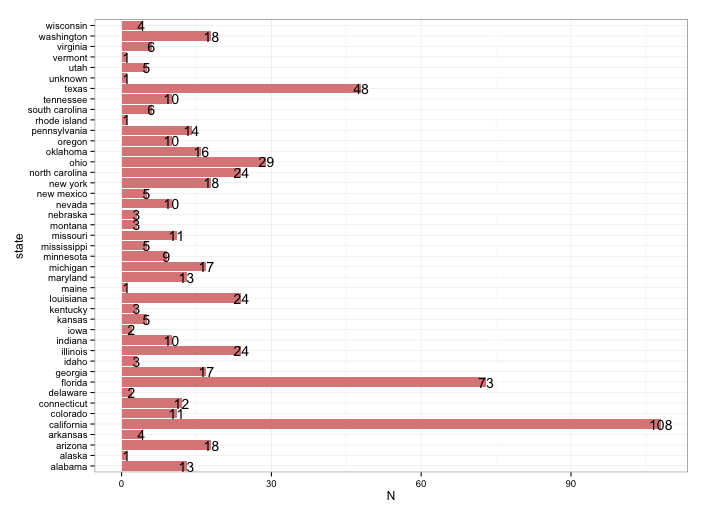 This chart represents deaths by number in each state where they have occurred. 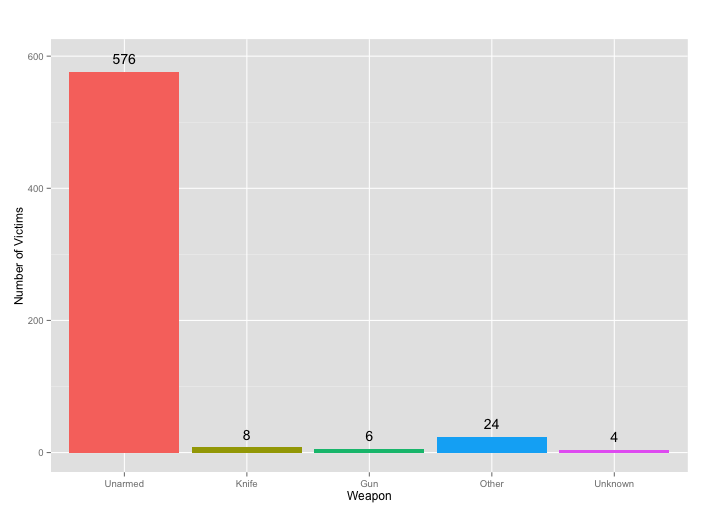 This shows the number of times a victim was shocked by police with a taser before their death. 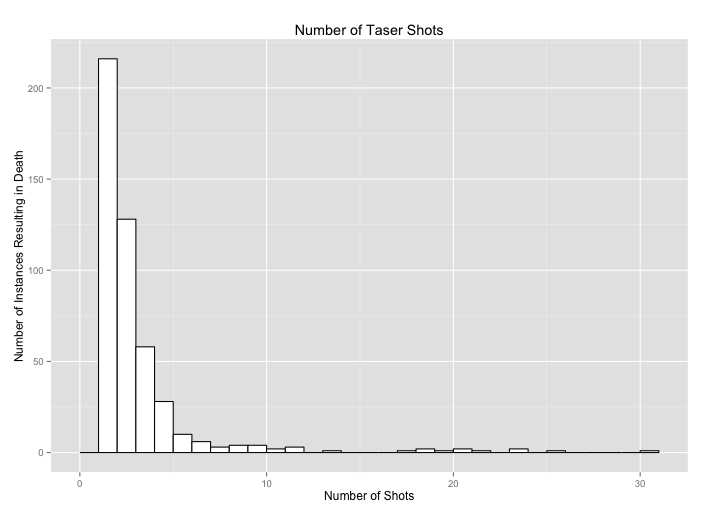 This graph shows that the overwhelming majority of victims were unarmed when tasered by police. 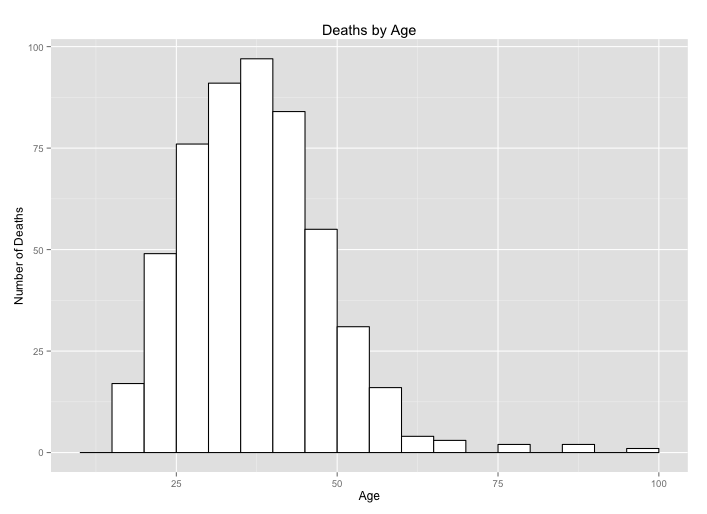 This graph shows the age of victims. 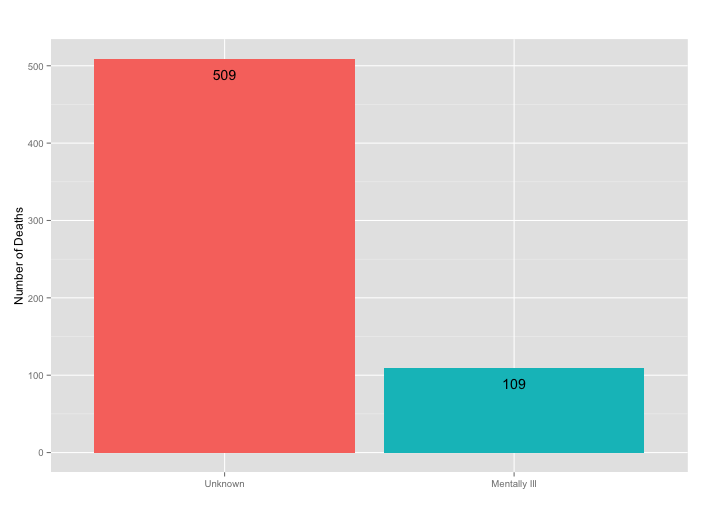 This graph shows the number of cases in which we were able to confirm that the victim had a persistent mental health issue and/or was suffering from an episode related to such when they were tasered. This website contains a list, based on our research of fatal taserings by American police between 2001 and October 13, 2013. There are also two annexures. The first summarizes a selection of federal appellate court decisions involving taserings by police. The second surveys law review articles on police misuse of tasers.